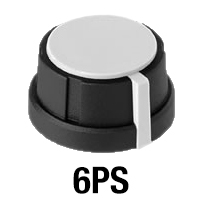 We only carry these knobs in the black and white style shown. 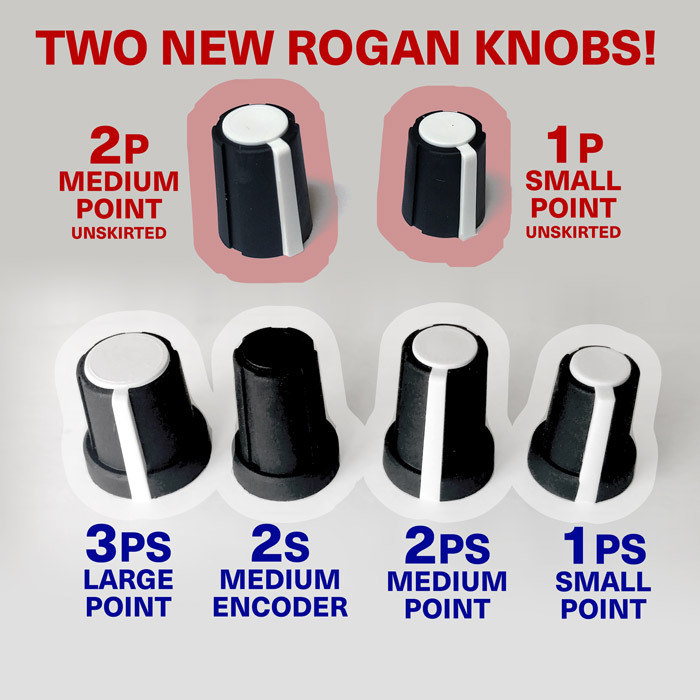 These PT range knobs are made in the USA by Rogan, they are not official Mutable Instruments or Make Noise products, but are the same style from the same factory.. 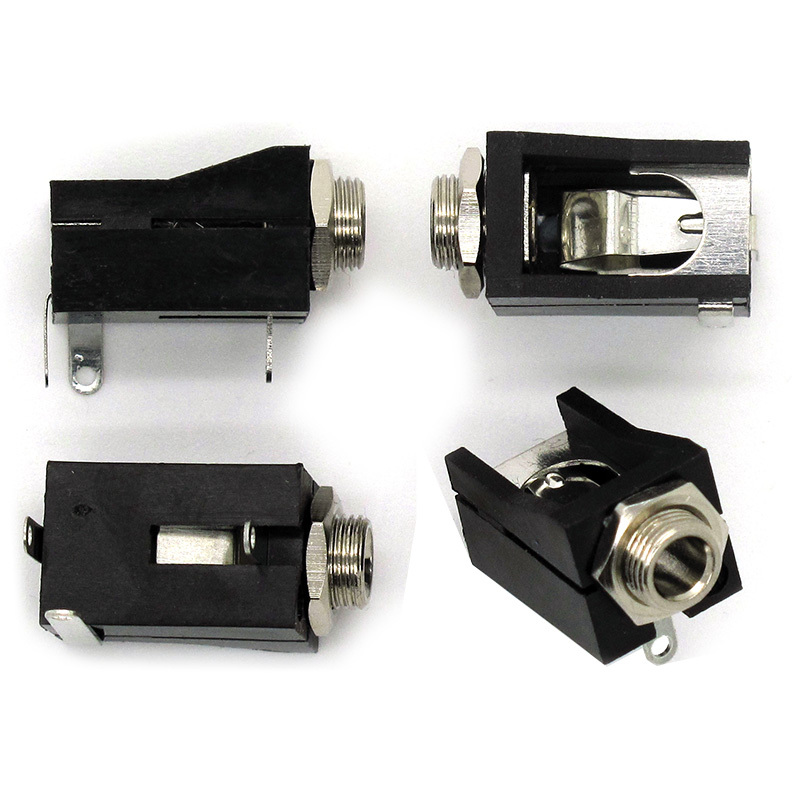 Refer to the Rogan data sheet Rogan to check dimensions and other information. 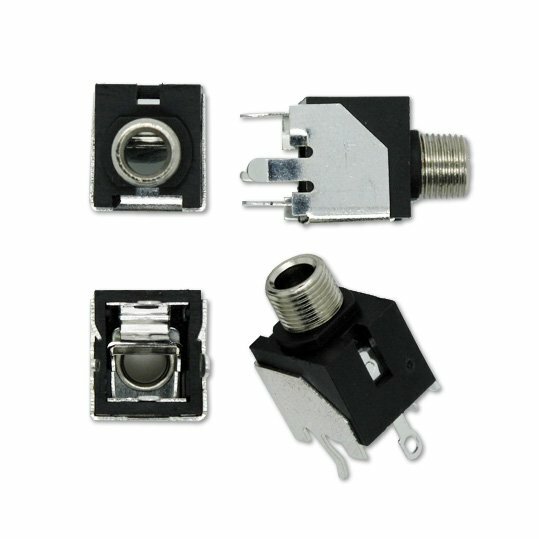 Please NOTE: You remove existing knobs from your modules at your own risk, don’t force them! Also please check what shaft types you need first BEFORE ordering. 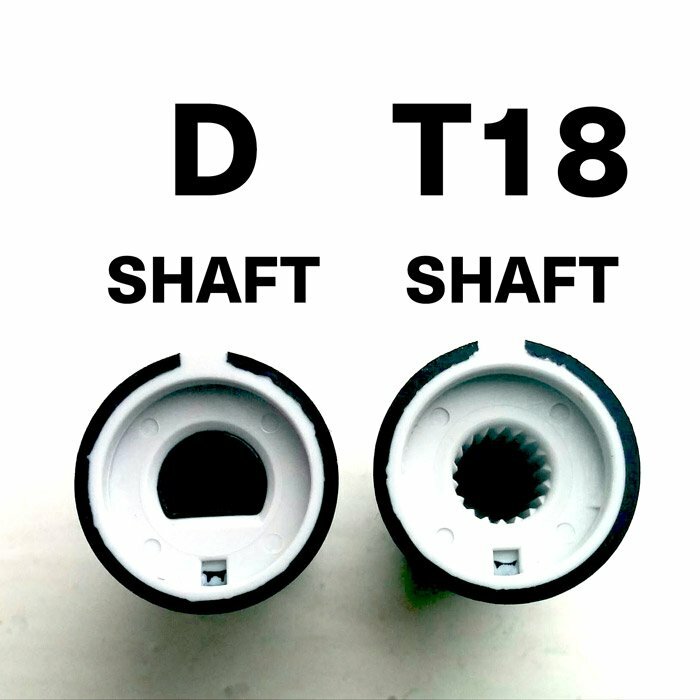 Module manufacturers do not always consistently use a certain shaft type, they may change between D or T18 for example. 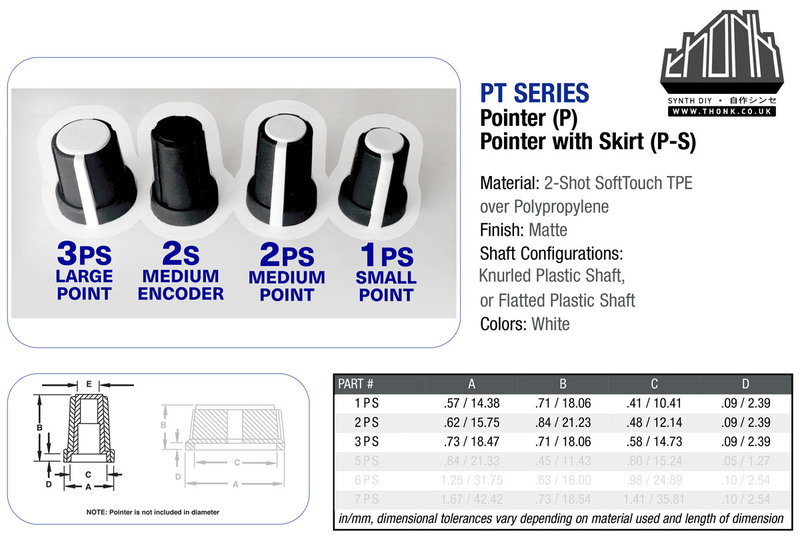 Note that T18 knobs do not fit on 6.35mm round shaft pots. As seen on Warps and Frames.